slow dancer | i would - The Earology Dept. | The Earology Dept. 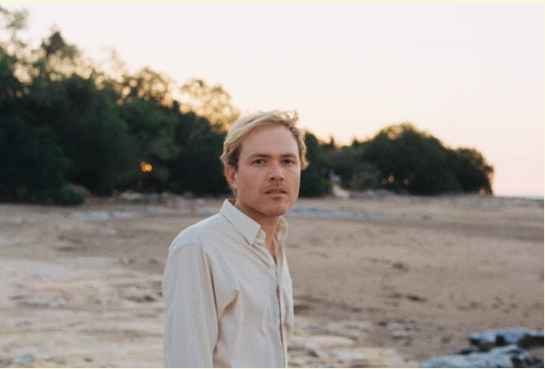 Australia’s Simon Okely is Slow Dancer and his brand of music is drenched is soulful permutations from a long-ago era. Slow Dancer’s current release, In A Mood courtesy of ATO Records, is a collection of bluesy, folksy, and jazzy odes armed to disarm and seduce. But above all Slow Dancer’s current body of work evokes romance and a delightful tenderness, and displays an artist paying homage to the best crooners of the 60s and 70s. This is an album definitely geared towards low-lights, easy conversations, sipping bourbon and enjoying the company of a lover. An album which will set the mood for good times ahead and perhaps bouts of self-introspection. Also, I swear vocalist Simon Okely is channeling James Taylor like a mug! Enjoy the featured track I Would, and rest of the In A Mood album release soon and often. Catch Slow Dancer on tour, dates after the jump. Peace.